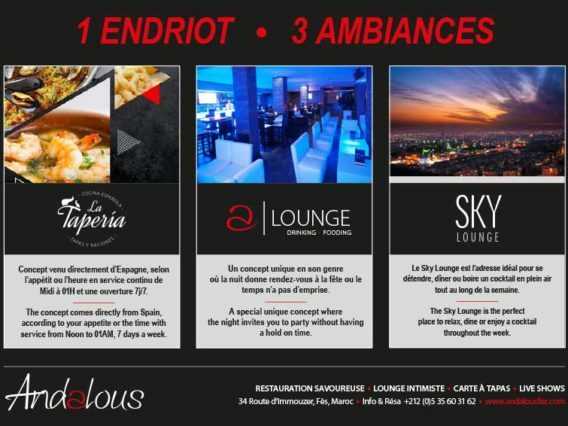 The first restaurant and lounge in Fez, Andalous is the combination of a world of exceptional fusion of styles and ambiances. From the entrance, the tone is set. 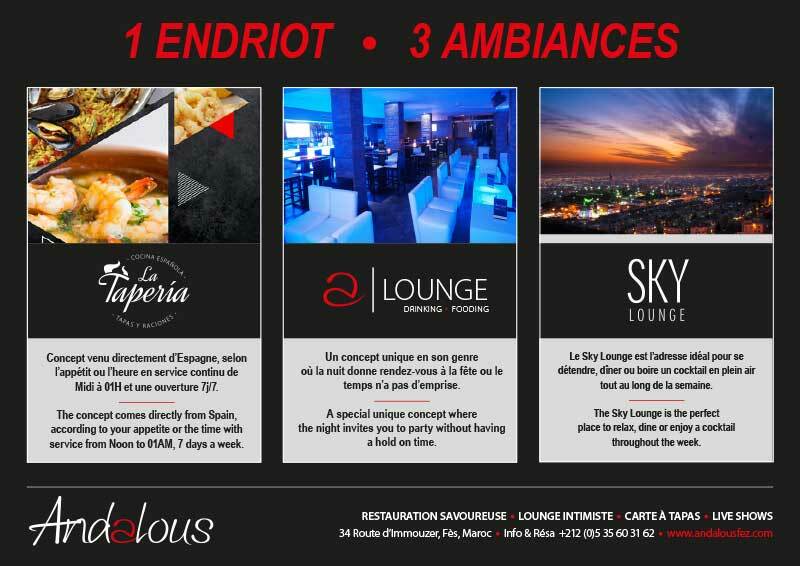 The hostess will welcome you, guide you and seat you to your table, to start an unforgettable experience. Unique for all what’s happening in Fez, its three floors, its various atmospheres give the place an outstanding personality. A multiple place and a must for the Fassis’ nights.